SP Pomer themes has been purchased 6, rating: 4/5 based on 4 reviews. SP Pomer Shopify Theme is a modern and luxurious theme that is designed to be compatible with every device and variety of stores such as fashion, cosmetics, jewelry, watches, shoes, sports, flowers, etc. SP Pomer Shopify theme comes with all the features and tools of a Shopify shop. 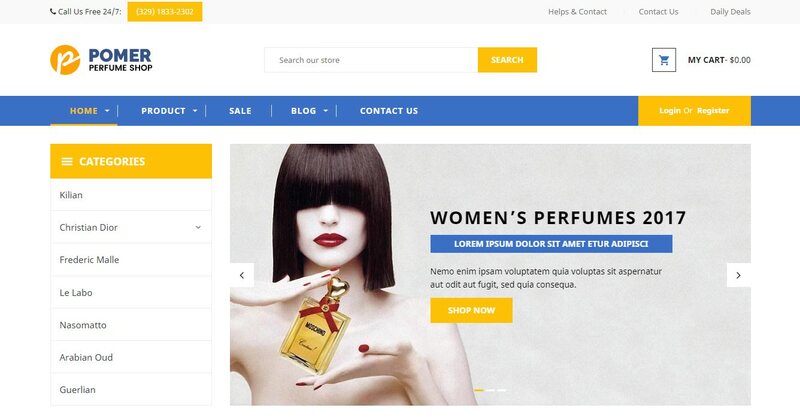 Built on HTML5, CSS3 and Bootstrap 3, the Pomer theme will make your shop perfect and attract customers at first sight. In addition, SP Pomer includes a powerful panel that allows you to customize easily with just a few clicks.